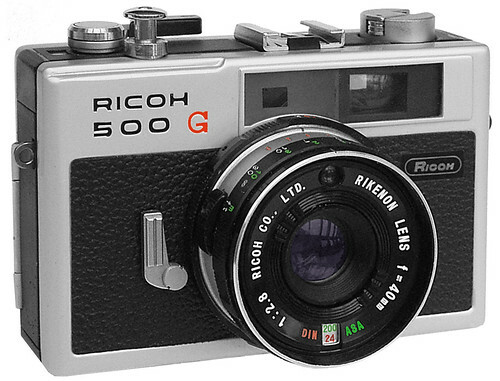 The Ricoh 500 G is a compact coupled rangefinder camera, introduced by Ricoh in 1972. It offers automatic shutter priority exposure, or fully manual control. A projected viewfinder needle pointer indicates the aperture the camera will set for any preferred shutter speed, or the aperture the user should set when on manual control. Ricoh 500 G reviewed by Matt Denton on Matt's Classic Cameras. Ricoh 500 G instruction manual on Mike Butkus' Orphan Cameras. This page was last edited on 11 July 2017, at 17:39.